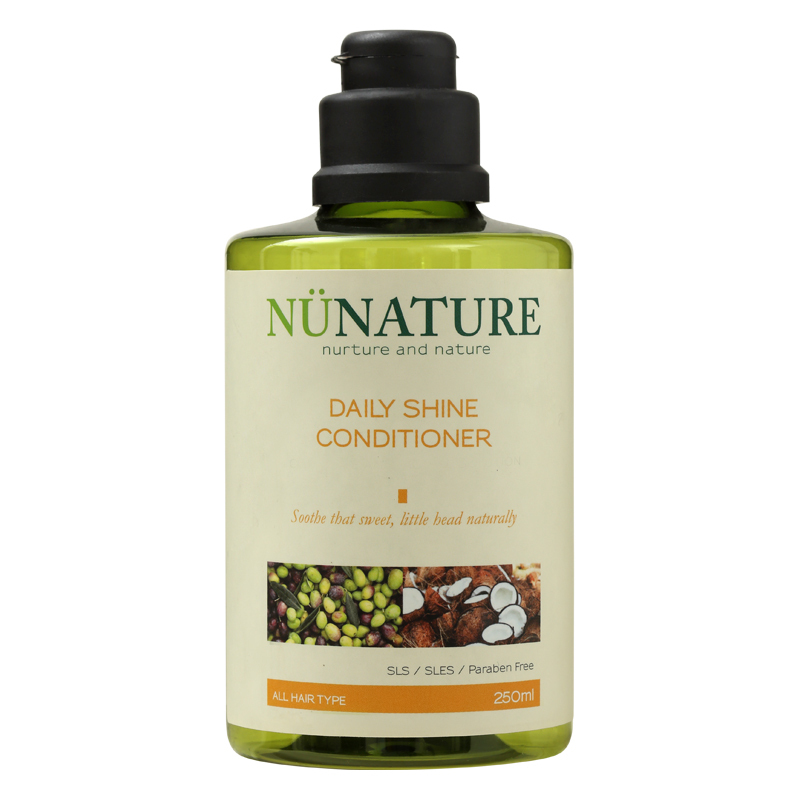 Nunature Daily Shine Conditioner gives your hair the protection it needs from everyday pollutants to keep it silky smooth, soft and tangle-free. Nourishes your hair with natural proteins, giving it a healthy glow. This hair conditioner also relies on Olive and Coconut Oils to give your hair a protective sheen against environmental pollutants as well as maintaining hair and scalp’s hydration level. Healthy hair is less prone to breakage caused by brittleness. Olive Oil is rich in antioxidants, Vitamins E and K which helps protects hair from environmental damage. After using Nunature shampoo, rinse well. Apply Nunature hair conditioner to wet hair and leave it for 3 to 5 minutes. Rinse thoroughly. Suitable for dry, damaged or frizzy hair. 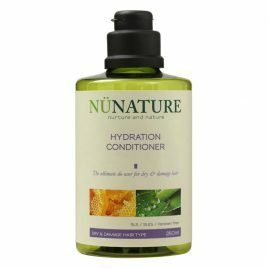 Nunature Hydration Conditioner provides ultra-intensive conditioning for dry, frizzy and/or damaged hair. Extensive chemical processes can strip away hair's natural moisture levels, leaving behind a dull, frizzy, brittle mess. This conditioner works gently to repair, regenerate and protect your hair from future damage – keeping it healthy and soft to touch. This hair conditioner nourishes hair with antioxidants to protect against UV damage thanks to the combined power of Honey and Aloe Vera. The latter acts as a natural conditioning agent to deeply moisturise hair, resulting in easy-to-manage silky soft tresses.